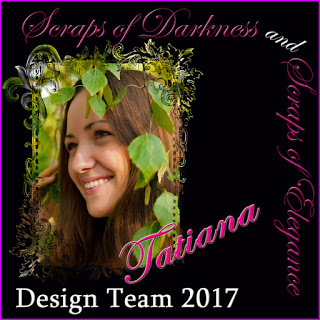 Scraps of Darkness and Scraps of Elegance: Beautiful Mixed layout from Tatiana! 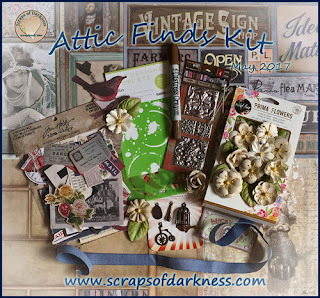 Tatiana is here with you today and I'm so glad to share with you my first layout featuring wonderful Scraps of Darkness May kit 'Attic Finds'. 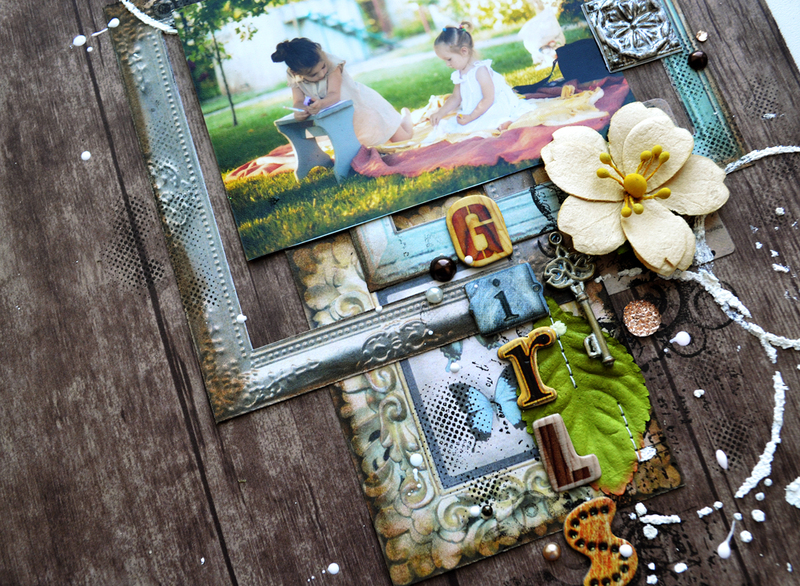 For my layout I chose photo made one wonderful sunny day. I like a lot the atmosphere of happiness and tranquility on the photo and seems that I made the second layout with it. 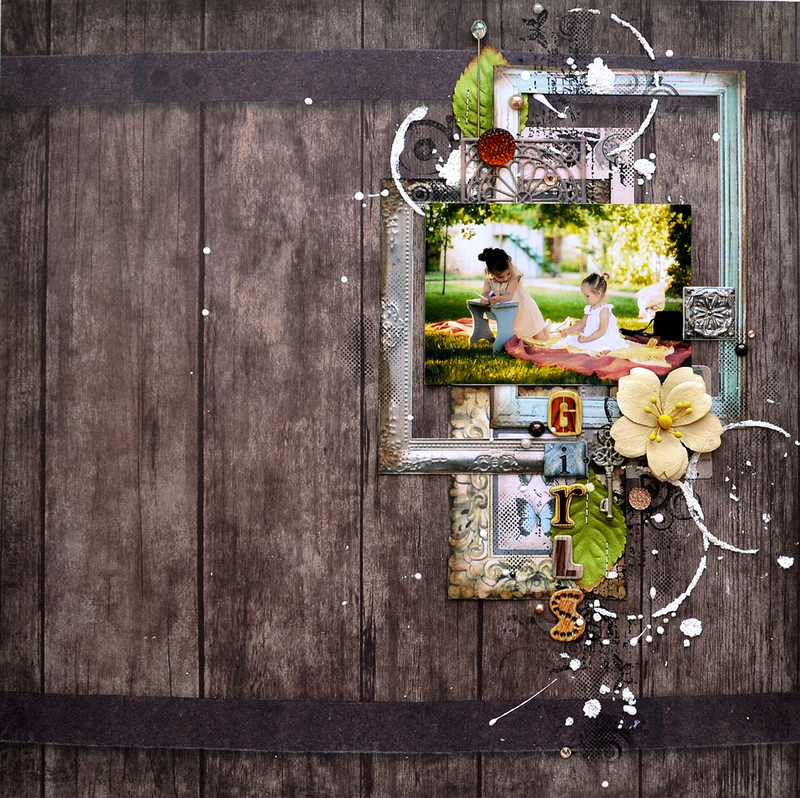 For the background I chose paper from Authentique collection. 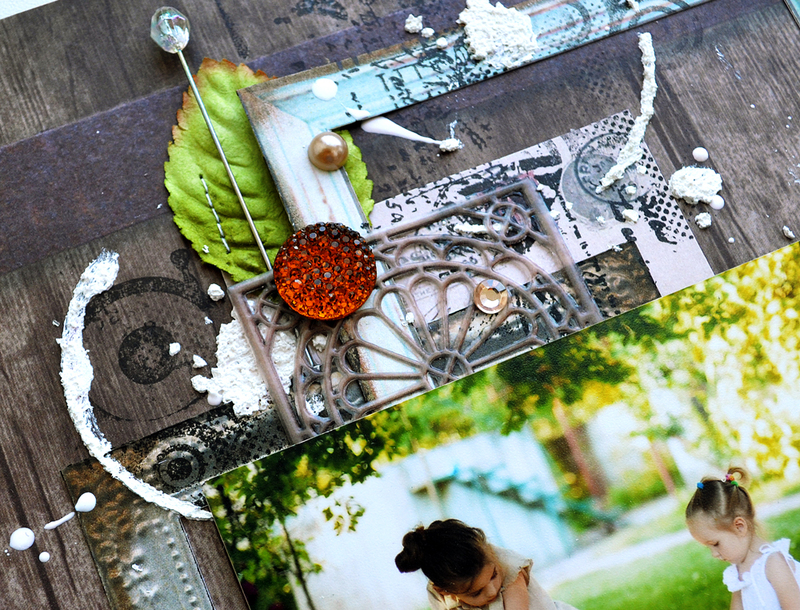 I also cut frames from the 7 Gypsies paper included in the main kit and distress a little bit them on the edges using Tim Holtz Vintage Photo Distress Crayon. I adhered frames and Tim Holtz ephemera on the background, then added background stamping using Stazon inks and stamps from the old Scraps of Darkness kits. On the next step I added texture using Kaisercraft stencil included in the Main kit and texture paste with sand. 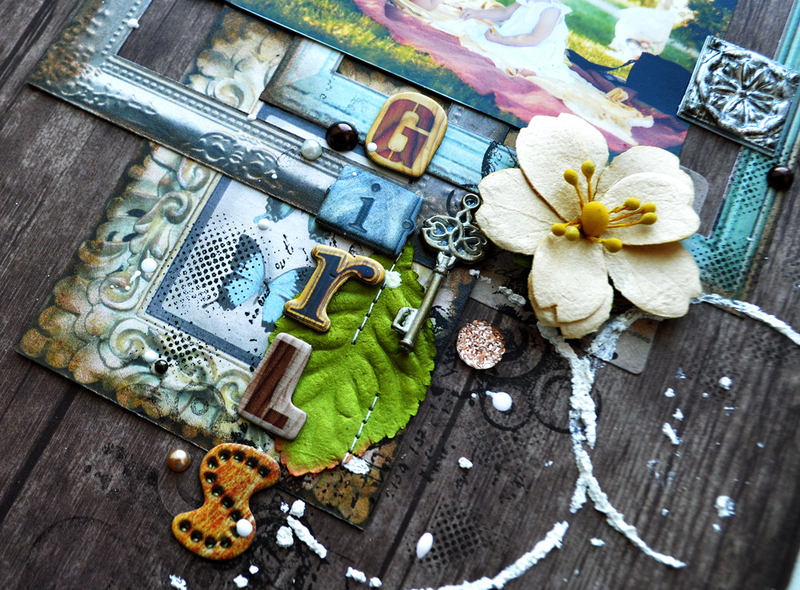 Then I adhered flower and other embellishments and added splashes with Tsukineko white texture mist. Hope you enjoyed my project. Have a wonderful day! Awesome page! I love the mixed media circles!